UConn researcher Angran Li, a doctoral student in sociology, has found that one size does not fit all students when it comes to parents helping with homework, and that parental involvement in homework can be particularly beneficial among economically disadvantaged African-American and Hispanic students. His findings, along with research collaborator Daniel Hamlin, a former doctoral student at the University of Toronto who is now at Harvard University, upend the conclusion of a 2014 study that found parents who help their children with homework hurt their performance at school. Li will present their research at the annual meeting of the American Educational Research Association (AERA) this week in New York City. The earlier study out of the University of Texas-Austin and Duke University, was the largest ever at the time on how parental involvement affects student achievement. It was the subject of several stories and opinion pieces in news outlets in the U.S. and Canada, including The Atlantic and New York Times. Li and Hamlin challenged those findings by adding another, more rigorous layer of analysis that showed the impact of parental involvement in homework is more nuanced than the earlier study suggests and can actually be beneficial among economically disadvantaged African-American and Hispanic students. The researchers sensed that parental involvement alone did not drive poor performance. And their study concluded scientifically that their hunch was correct. "We knew that with scientific studies, correlation is not causation," Li explains. "We looked at it from a different angle, employing different quantitative methods, trying to disentangle why these things happen." Using data from the National Center for Education Statistics, Li and Hamlin conducted their research on a nationwide sample of 11,471 students. They used parental help with homework in the first grade as a predictor of student achievement in the third grade, applying controls for student background and prior achievement. Variables such as the student's gender, race, ethnicity, the age of their parents, and the number of siblings were also considered, as were the socioeconomic status of parents in relation to education, income, and occupation. Parental expectations, beliefs, communication, school involvement, and educational activities in the home were also factored into their statistical analysis. They even looked at the number of days parents offered help to a student each week. What they found was that socio-economically advantaged parents and those with a greater number of children in the family had a lower propensity to provide daily help with homework. 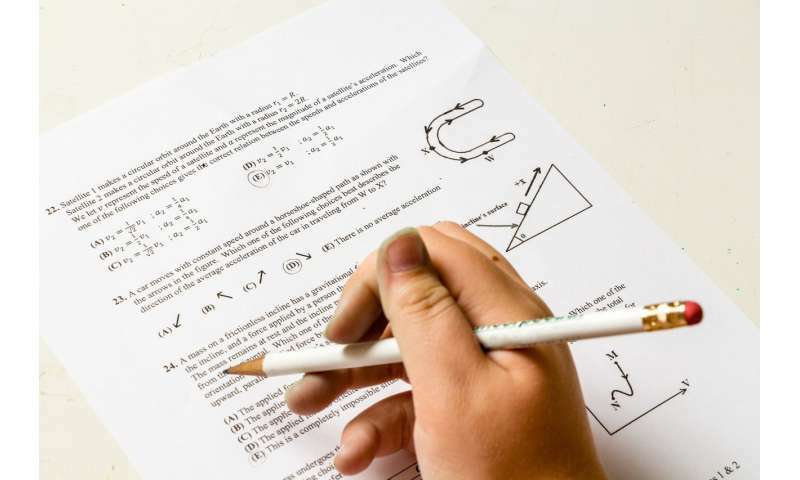 Higher math and reading scores also were shown to significantly decrease a parent's propensity to help with homework – a pattern that suggests that lower relative performance by students may prompt parents to provide daily homework assistance. "The poor performance kids, they required more help," Li notes. "But when they were really helped, they actually improved." The debate about parental involvement has intensified in the wake of No Child Left Behind and Race to the Top, he says. These educational improvement initiatives of the second Bush and Obama administration respectively, both call for increased levels of parental involvement. "There is all this debate over parenting and how American parents spend too much energy on their children's education. That's true. That works for well-off families," says Li. "But we're now seeing that for disadvantaged families, we still need to encourage them to be involved, because it can be really beneficial to their kids. "We talked about those articles that encouraged parents not to help their kids," Li continues. "We thought they were making the wrong suggestion, but we really wanted to provide some scientific evidence to prove they are wrong. So we started this project and found something really interesting – they were dead wrong." The takeaway for educators, policymakers, and parents, Li says, is that one size does not fit all students when it comes to parents helping with homework. When kids are not doing well at school and parents are helping with homework, it may look like they are having a negative effect on their children when parental involvement is evaluated in relation to performance alone. Li's research suggests the opposite may be true, and that low student performance may actually explain parental involvement – a conclusion that runs counter to assumptions about parents of economically disadvantaged, lower-performing students being less engaged with their children's education than those of more economically advantaged, higher-performing white students. "When kids are not doing well at school, parents are more likely to help with their homework. That's why we observe this negative correlation between parent help with homework and student achievement," says Li. By factoring in other variables, he and Hamlin found parental homework help can be beneficial for students in disadvantaged families, especially when compared to advantaged families. "So we are encouraging especially parents from disadvantaged families to help with homework, to get actively involved at school, and stay actively involved in your child's education to compensate for this disadvantage," says Li. I think there is a big difference between answering the questions set for students and in helping them to structure their time and get into, maintain a homework regime as well as supervising and answering questions when they are stuck which surely is beneficial.